Rabbit, Rabbit! 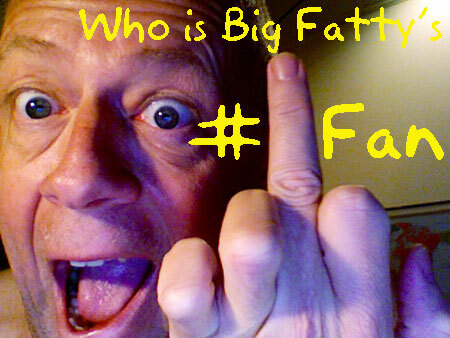 The Fat One is on his way back to the Villa but has some more #1 fan entries. Remember the deadline is 5pm EST. Happy weekend. Posted by Big Fatty in Podcasts on February 1st, 2019 ‌ Both comments and pings are currently closed. Holy Cows KBeaver ~ did she go into hiding like those lottery winners ~ is she securing an attorney and an accountant? Yippee 🙂 I won! I won! I cannot believe it!!! I am so sorry for the delay. High season in the tuna business, and yes Bob, that is a thing. I would like to dedicate and donate my prize money, my beloved little Benjamin,to the beautiful people of pride48 who work so hard for our amazing and wonderful Big Fat Family! Thank you, thank you lovely people, thank you Momma Beaver, thank you sheep for your restless support, thank you all my teachers and mentors, thank you Gustav, my deceased pet whale, thank you BigFatty and all my dear fellow BFOnions – I love you, and I love you Earth and the beautiful sun and universe. I couldn’t have won without you! Aw! That’s so nice KB! I will ‘pay it forward’ based upon your request! You are the nice one Kathy! Oh my, all day long I have a bad feeling because I forget to say Rabbit Rabbit first thing this morning. Now I am doomed. I begin to think that BigFatty has ruined me for life. Oh my, all day long I have a bad feeling because I forgot to say Rabbit Rabbit first thing this morning. Now I am doomed. The bunnies are currently at my house so I’ve been saying rabbi rabbit for 2 weeks. Last night the white one was feeling frisky. Aww… That’s so sweet of Ms Beaver to donate to Pride 48. Best wishes to Ms Beaver and hugs to the sheep. The universe has spoken Kim. Well done.